MORE than 1,800 unpaid carers of people living with dementia have completed a new training course designed to provide support and information about the illness. The programme was developed as a result of Northern Ireland’s first ever dementia strategy which stressed the importance of caring for carers. It will finish in December amid criticism that money not spent from a £6.25 million funding package originally earmarked for dementia care will be diverted away from dementia services. The Detail spoke to two families who have benefitted from the unpaid carers’ training to hear how it has helped them. IT came as no surprise to Elaine McCabe when her husband Glenn was diagnosed with vascular dementia in April last year. She had noticed how small tasks most of us take for granted were becoming difficult for 55-year-old Glenn who was feeling less confident about driving and even found writing challenging. 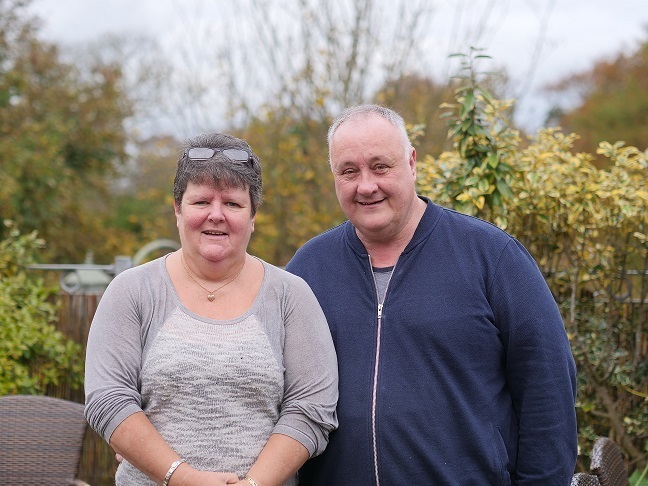 Soon after Glenn’s diagnosis the Bangor family were contacted by a dementia navigator who is employed by the trust to help signpost people with dementia to services they might be in need of. This is how 53-year-old Elaine became aware of a new training programme specifically designed for people like her who, by default, find themselves as carers of people with dementia. Every Thursday for eight weeks, Elaine joined other people who, like herself, were coming to terms with how their lives had now changed. The course covered a range of issues designed to inform unpaid carers how they can better support their loved ones and themselves. They learnt more about dementia and how to deal with any legal or financial challenges that may lie ahead. They also became a support for each other. She added: “I was surprised there was support. It really helped me. It didn’t make me feel so alone. There was somewhere I could go and talk to people and learn, especially learn about the dementia diagnosis and what all it meant and the change it meant in our lives. Now equipped with the knowledge of what services are available to people with dementia, Elaine felt empowered to seek out the support she thought could help Glenn who was forced to give up his business and can no longer drive. 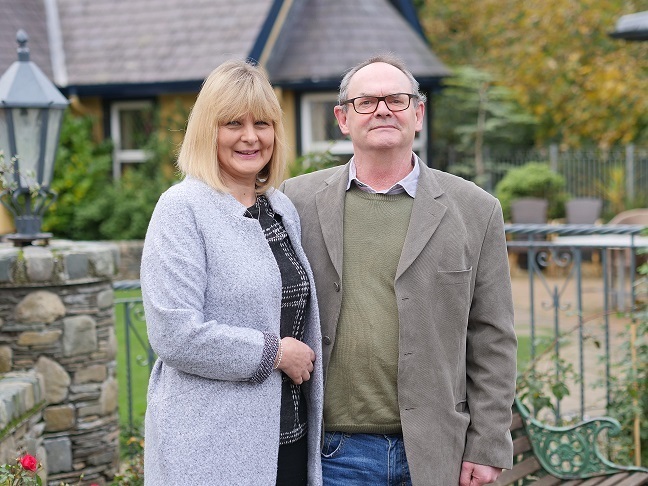 The couple, who have three children and one grandchild, also found support from Dementia NI – a charity founded in 2015 by people living with dementia. LEARNING how people with dementia perceive their environment helped Tom Batchelor develop a better understanding of his wife Allison’s behaviour. Allison was diagnosed with Alzheimer’s disease in April this year after first being told she had other conditions linked to memory loss and language difficulties. The 57-year-old, who lives in Dundonald, had noticed she was finding it difficult to communicate and said her dementia diagnosis opened doors to the appropriate services that are available to support her. Husband Tom, aged 58, took part in the unpaid carers' training in June and found one of the most interesting aspects was learning how the spatial awareness of people with dementia can differ from those without the condition. For example, a person with dementia might believe a piece of black carpet to be a black hole in the ground which could prevent them from walking on it. He added: “I’ve learned to be a bit more patient than I would have been beforehand. In the past, Allison would be talking and all of a sudden she might forget something and tell me it twice. Tom believes funding allocated to dementia services should be increased. He said: “I believe if they were to take the funding away it will cost the [Health and Social Care] board more money in the long term. It’s exactly the same if you take the scenario of a person having to go into a nursing home. The cost of money to put the person in the nursing home is potentially £700/£800 a week. Mum-of-two Allison also receives support from Dementia NI which she credits for encouraging her to see it is possible to live a good life despite her illness. She added: “Before the diagnosis and then immediately after the diagnosis, my initial reaction was, ‘I’m suffering with this, my life is over, my life as I know it is gone’. I could feel myself going down. “Getting up and doing stuff, I just wasn’t interested. I became more withdrawn and it’s only after meeting the dementia navigator and Dementia NI that I thought, ‘yeah, I can actually do OK here, there’s still stuff I can offer, there are still things that I can do’. “Through Dementia NI, part of that is you go out and talk to groups so you meet people. That isn’t only helping, you hope, raise awareness for others in the community but it really helps you as well. Click here to read how Stormont officials plan to return unused funds donated to dementia care in Northern Ireland by a philanthropic organisation.